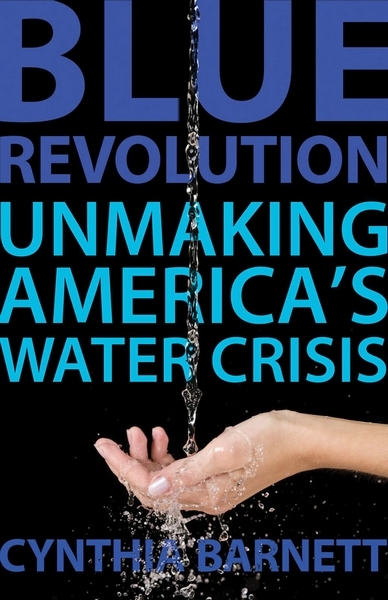 ect, The Next Page bookstore in Frisco will host a discussion of “Blue Revolution: Unmaking America’s Water Crisis” on Tuesday. The book, written by Cynthia Barnett, is the focus of a countywide reading initiative and explores the topic of water management and the importance of using water responsibly. Nancy Karklins, bookseller and regular discussion leader at The Next Page, will lead the conversation. Karklins said she’s not an expert on the subject matter of the book, but she read it and it raised her curiosity about the topic of water. The format of a book discussion allows for a free flow of information without the fear of insulting the author or one another, Karklins said. Karklins was initially worried that local readers wouldn’t have an interest in reading a book about water, but she praised “Blue Revolution” for its treatment of what could have been a tedious topic. Karklins said when she first started reading the book, she began talking to people in the community, asking if they were worried about their water. Establishing a water ethic in our community really begins in the schools, teaching children the value of protecting our water resources, Karklins said. She said it’s a local responsibility that starts with each individual making a commitment to properly manage his or her water use, and the book is a catalyst for starting a water revolution.